We are passionate about heritage and culture and love working for the organisations that take care of the UK's historical assets and create cultural experiences for audiences and communities. We want to make sure that the public funding that supports these organisations is used as productively and efficiently as possible and our commitment to working effectively with the budgets available is testament to that. Our clients range from the National Trust to independent cultural organisations such as the Arkwright Society and we have created everything from brands to interpretation and publications. Brand development and communication materials for the Derby Portfolio properties. 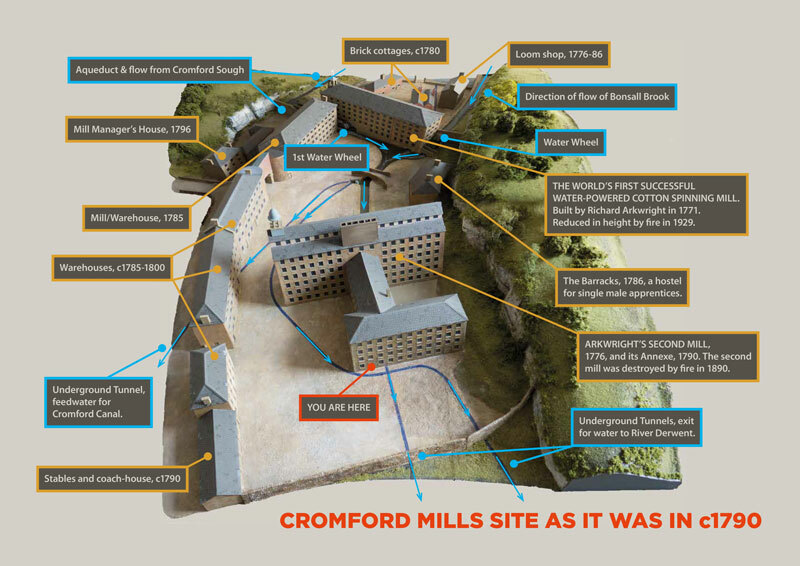 Wayfinding and exhibitions for the northern gateway to the Derwent Valley Mills World Heritage site. Working with the Three Cities Create and Connect project team, we devised and published a limited edition magazine featuring new writing from the East Midlands alongside globally recognised writers.